Special Projects:Restoration of the Historic Organs of San Miguel de Allende. 1. What kind of organ does Oratorio de San Felipe Neri have? During the Baroque and Romantic periods, Mexico had a very distinguished musical tradition. Church and secular music written in Mexico competed with the now better known music from Europe. The magnificent cathedrals and churches built in Mexico inspired local musicians to write equally magnificent music. A great tradition of organ building was born in Mexico to provide appropriate instruments for the church music written from the 17th to the 20th centuries. All the important churches of San Miguel de Allende had organs of very high quality and beautiful sound. Unfortunately, in recent times many of these organs fell into disuse due to changing traditions within the Catholic Church and a significant reduction in the quality of music education in the whole country. At present, eight historic organs remain in San Miguel de Allende, in churches like the Parroquia, San Felipe Neri, San Juan de Dios, Santuario de Atotonilco, La Ermita, Las Monjas and la Santa Casa de Loreto. These organs range from the beautiful baroque organ in San Felipe Neri made in Mexico during the 18th century, to a more modern German organ made in the early 20th century found in La Parroquia. 2. When can we hear the historic organs of San Miguel? When you hear an organ playing during a church service in San Miguel, chances are the organ you hear is a modern electric organ. Unfortunately, most of the historic organs of San Miguel de Allende have deteriorated to the point where they cannot be played anymore. The only historic organ that can be played, is the German organ in La Parroquia. Every Sunday at noon, the church service at la Parroquia makes use of this beautiful instrument. However, even this organ is in bad state of disrepair, and most of the registers have to remain silent. The baroque organ at La Ermita suffered recently from a bad restoration and its present sound is badly out of tune and certainly very different from the original sound of the instrument. 3. Why is the organ of historic significance? The different organs of San Miguel represent the sounds, colors and culture of the city through the centuries. The organs at San Felipe Neri, La Ermita and Las Monjas date from the baroque period and are very fine examples of the magnificent sounds from that period. 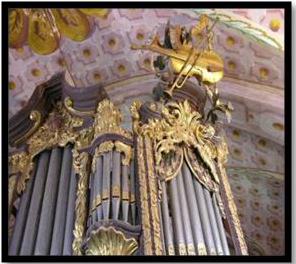 The organ in Atotonilco dates from the 19th century and combines baroque organ making techniques with the tastes in terms of sound from the romantic period. All these organs were made in Mexico when organ making was an important part of the culture of this country. Other historic organs in San Juan de Dios and San Francisco have decayed beyond the possibility of repair and restoration and have been lost forever. The historic organs of San Miguel are amazing pieces of engineering, beautiful works of decorative art and part of the history and cultural tradition of the city. 4.  What is the goal of the organ restoration project? The immediate goal of the project is to document the state of the organs of San Miguel and to prevent irreversible deterioration so that the instruments can be preserved for the future. 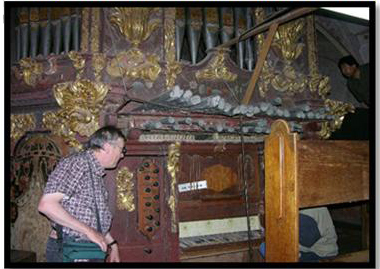 Over the longer term, the project contemplates restoration of the organs of San Miguel by professional teams of organ builders following international standards for restoration of historic instruments as well as the guidelines set by the Mexican Institute of Anthropology and History (INAH). This way we can bring back the sound of the instruments with their original brilliance reflecting the original intention and period of each instrument. The project also contemplates restoring the wonderful art work found in the organ cases, pipes and keyboards. An integral part of the restoration project contemplates educational aspects such as the development a new generation of musicians and organ players who can make the voices of these instruments sound for the benefit of all the people who live or visit San Miguel. 5. Which organs should be restored first and how much will such restorations cost? The organs at La Parroquia and San Felipe Neri are the most likely candidates for restoration. Together they represent both the oldest and the newest of the historic organs of San Miguel, covering the sounds of the baroque and romantic periods. The organ in La Parroquia is probably the simplest one to restore as it is the best preserved organ. Also its more modern construction makes it easier to restore. The estimated cost of this restoration is about $50,000 to $75,000 dollars. The organ in San Felipe Neri is the most valuable in artistic and historic terms. Unfortunately, the terrible deterioration this instrument has suffered, together with the specialized techniques that need to be applied to restore a baroque organ, make this restoration project the most expensive in San Miguel. The estimated cost to restore this organ in the order of $500,000 dollars. 6. How can I support the organ restoration? 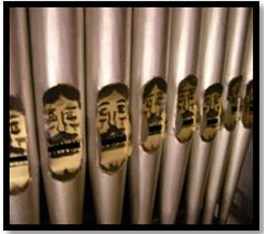 The photographs below give just a brief glimpse of the Felipe Neri organ.